Imagine, if you will, a food forest. What would that look like? 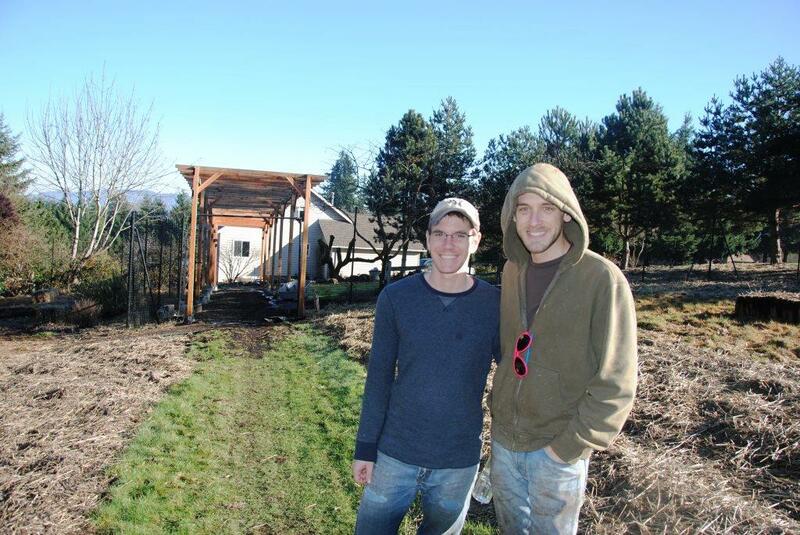 Well, for John Peterson and Jeremi Carroll it is evolving on 2.5 acres on a gently sloping hillside in Dundee. Purchased a bit over a year ago, the Dundee Hills Food Forest is a work in progress. 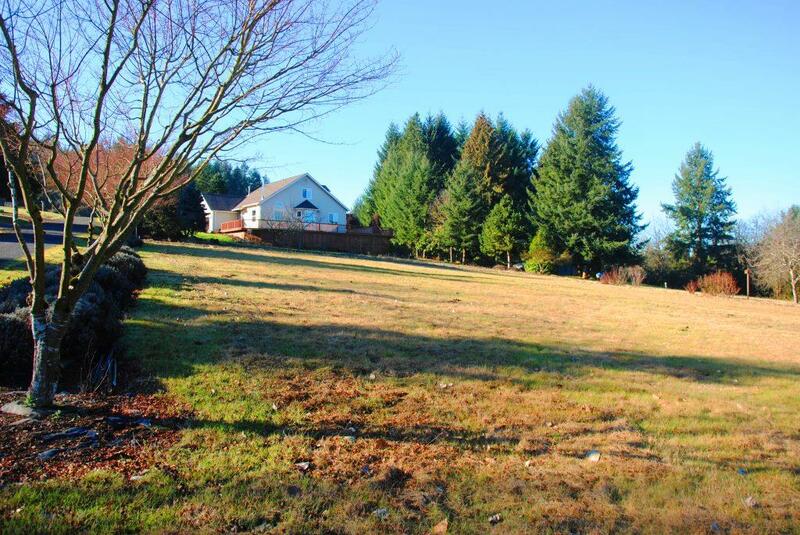 This slope up from the road will eventually be planted with fruit trees. The concept of developing a sustainable diverse permaculture at Dundee Hills Food Forest is an extension of childhood family gardens and their own efforts in a small backyard in one of Portland’s suburbs. Both men work at the Bridgeport Brew Pub in the Rose District four days a week. This leaves them three days a week to attack the project at home. 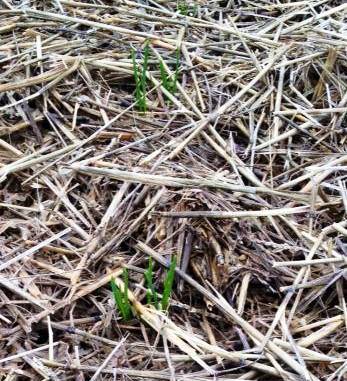 French shallots planted last fall beginning to peak through in January. Their vision of perennial fruit trees and herbs as well as annual vegetables is what holds them to the seemingly never-ending task of clearing, digging and more. Originally a landscaper’s home, a bit of neglect occurred over the past several years, now requiring considerable land clearing and tree trimming. 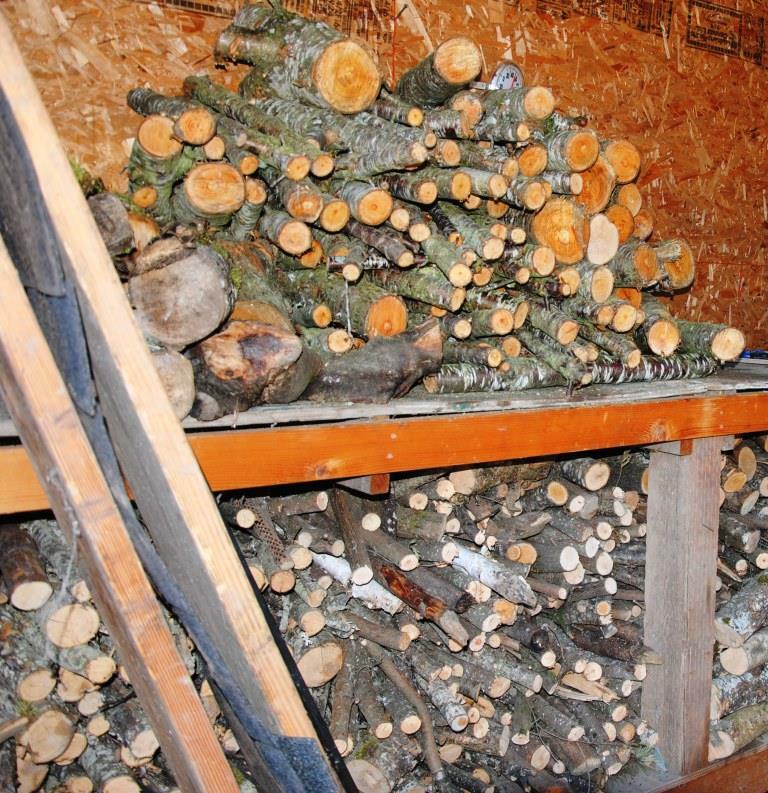 The up side: plenty of wood drying for future heat. John and Jeremi truly appreciate John’s dad who is an engineer. He is helping design and implement several projects on the slopes, including an arbor which will, in time, be planted with table grapes and perhaps some hops. Another project behind the barn, may include some hydroculture. The future will let us know in time. The barn has a lot of exciting potential. Right now it is excellent for storing the wood. Plans for its future sound very grand and you will have to stay tuned to read more as that area gets closer to development. 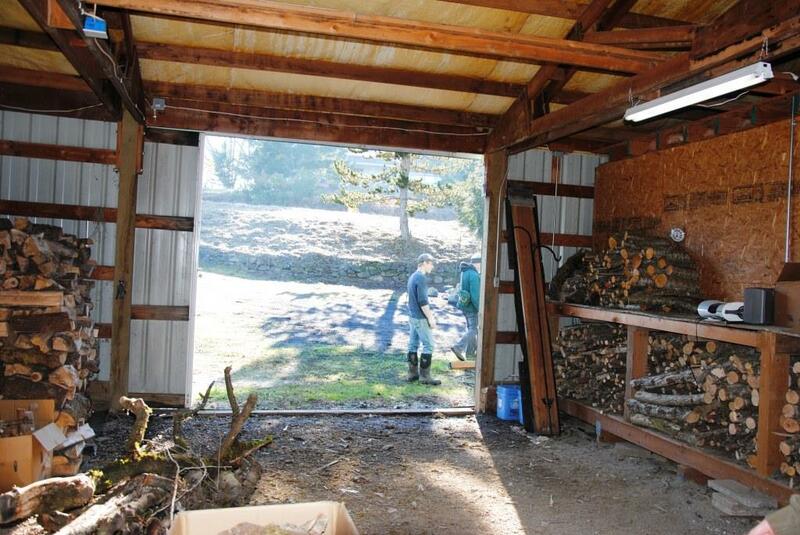 This entry was posted in barn, CSA, eggs, farm and tagged farm, Local Food, work ethic, Yamhill County. Bookmark the permalink. If ever I had faith in two people passionate about growing wholesome & organic food stuffs while being ardent stewards of the land and contributing to our County’s sustainable food offering, it is John & Jeremi. I was the fortunate Realtor who assisted them in this endeavor and knew from the very first moment we met that their dreams and goals would be realized and undoubtedly successful! I was covetous of their ideas and abilities landing in Yamhill County because they along with other visionaries are bringing attention to sustainable crop farms that produce healthful food without compromising future generations ability to do the same. There is no better place to live than in a community devoted to quality food and wine and the Dundee Hills Food Forest will certainly contribute to the standards that have been set. Thanks, Meri, for assisting these men to find an ideal location! It will be great to watch their farm come together and mature!